Our Team Stores give your team, company, or organization one online, easy to us source for customized apparel, team uniforms, sportswear, and gear! Get outfitted in your favorite school colors with your Universal Screening Team Store. We offer a painless ordering process for customized apparel including T-shirts, Hoodies, Hats and more! Universal has outfitted hundreds of teams and organizations of all levels. Our assortment of premium performance apparel and gear will give your team the competitive advantage you desire to reach victory every time! 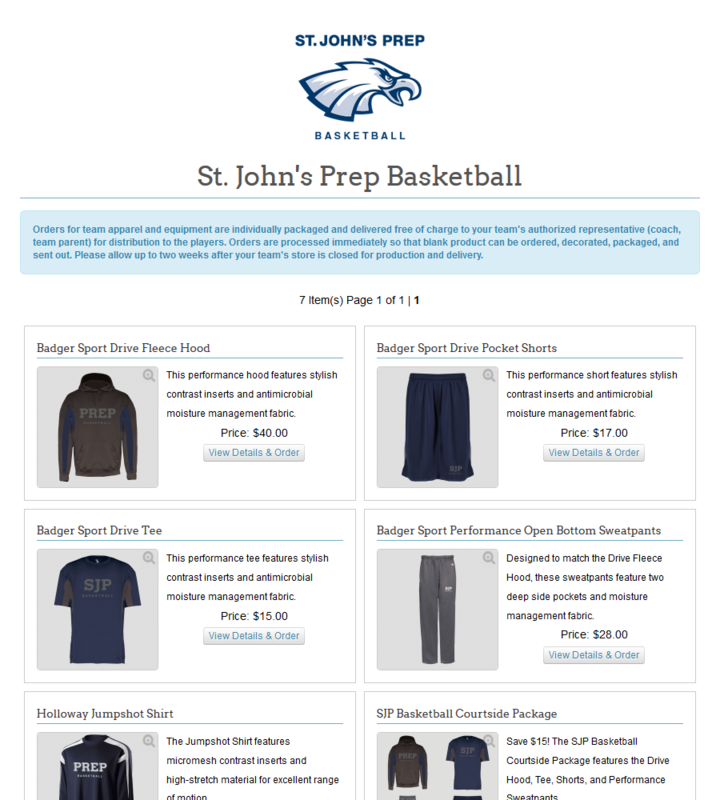 Using an online store for your team's apparel has a variety of benefits sure to make your players and their parents happy. No more confusing, difficult to fill out order forms, if you want a second sweatshirt for yourself or another family member you can just add it to the cart. Never worry about your order form getting misplaced again, with online ordering your orders go straight to our staff for production and fulfillment instantaneously. Tired of having to rewrite checks because your child lost the first one? Online payment via credit card or echeck makes this problem disappear. Getting your own Web Store and being rid of all the messy paperwork and easy to lose order forms couldn't be easier, and with our easy online payment system you'll never have to worry about misplaced cash or checks again. Give us a call, send us an email, or stop by today to discuss your organization's needs and get the ball rolling on a web store of your own! Getting into your group's Web Store is as simple as choosing the appropriate store from the menu on the right or clicking your team's icon on the store page. If your store is password protected, your group's representative should be able to give it to you. Group representatives are typically the coach (in the case of sports teams), or other group executive who os responsible for setting up the store with us.